Rock Wall & Exergym - Welcome to Burke Racquet & Swim Club! 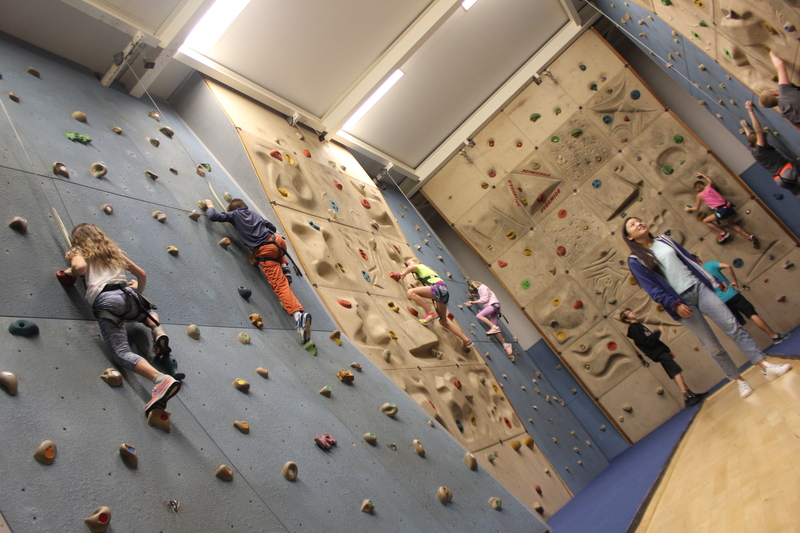 It requires both strength and skill to master the rock wall, but it provides hours of fun and excitement for the young and exhilaration for the seasoned climber. Our beginner walls provide the experience for children and adults to learn the basics of the sport. The intermediate walls provide a cardiovascular workout while fine-tuning the skills of the more advanced climber. The third level, an advanced wall, will challenge the most conditioned athletes. Fee includes safety harness (required) and climbing helmet (optional). The Exergym pass allows you access to all of our games during each 1.5 to 2 hour time slot. Bring your Girl or Boy Scout troop to climb on our Rockwall or play in the Xergym! Reservations are required and may be made by troop leaders only. Call Sandy at 703-250-1299 or email her: brsc.events@gmail.com to make a reservation.